The devil may be in the details. But at Bookeo, we are not afraid. In fact, our attention to detail is one of the things that sets us apart. That’s why we’re excited to introduce a new Schedule report and five new small but noteworthy features. We’re sure you and your customers will love them. We have just added a new Schedule report that will give you an overview of booked, blocked, available and canceled tours/classes/workshops – for a single day or for multiple days. To generate this report, simply go to Marketing>Reports and click on Schedule. 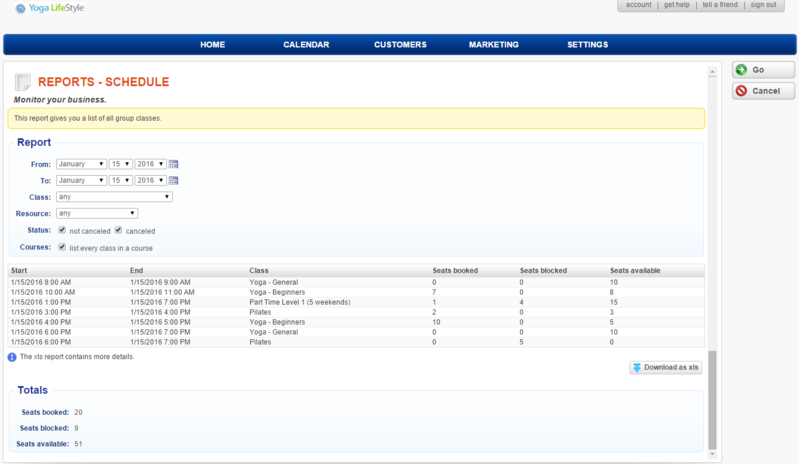 When you generate a Booking Report, you can now decide if you want to list each participant in a single row. 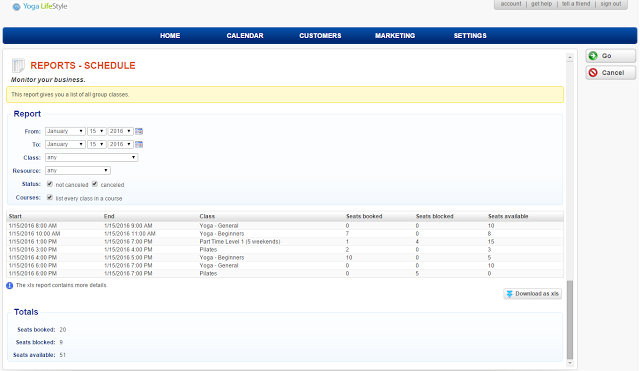 You will simply have to tick the Participants: one row per participant checkbox when you generate a Booking Report. This has been one of the most requested features we’ve received over the past few months and we are sure that it will make your life easier! The Bookeo mobile widget now shows a Home icon. This lets your customers easily navigate back to your website after making their booking. The Home icon appears whether you use website integration or Bookeo’s standard booking page. When a customer signs up with a new customer account for your business, Bookeo now sends an automatic email notification to you and all of your Bookeo account users. You’ll save time and avoid miscommunication because your company’s key people will all be up to speed. Need a customer’s province – but not the postal code? Now you can set your choice of needed address fields for customers and booking participants, in Settings>Customer details. This is useful if certain fields (like State/Province) don’t apply in your country. You can also use this feature to collect general location data – like country – for statistical purposes, without requiring the full customer addresses. All resource types (like “Staff”, “Vehicles”, and “Rooms”) are now shown on the same screen in your Bookeo account, under Settings>Resources. That means less clicking whenever you need to make changes to your resources settings. Please let us know at support@bookeo.com if there’s anything, big or small, that we can do to help you enjoy Bookeo even more. And keep on the lookout for more advanced features coming your way soon.